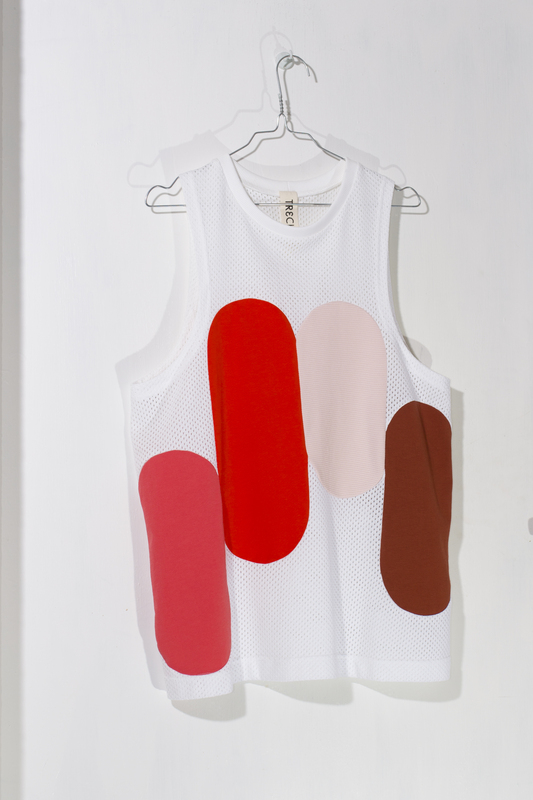 See-through mesh tank top with "strategically placed" simplified flames in 4 different fabrics. White mesh and pink jersey in 100% cotton, light pink ribbed interlock in 99% cotton, 1% elastane and henna and orangered jersey in 95% cotton, 5% elastane. All fabrics are GOTS certified organic from Lebenskleidung. The thread is natural lyocell. Basic men's tank top with flame motive worked into the mesh fabric.